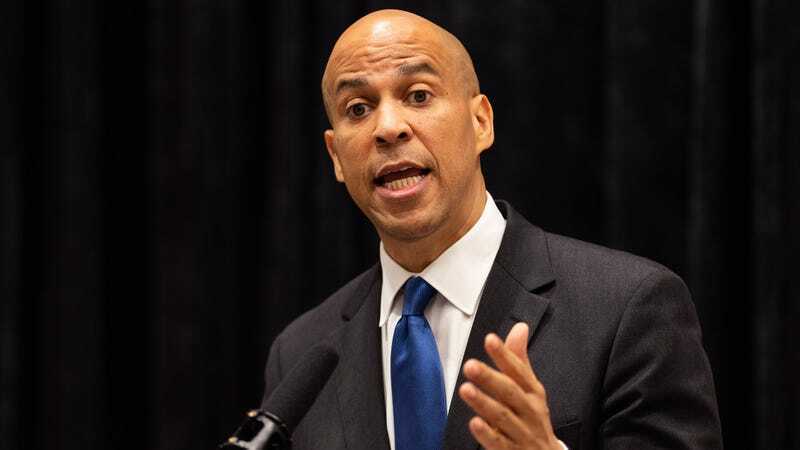 WASHINGTON—Admitting they had just assumed the candidate was some kind of quirky billionaire or one of those CEOs who runs for president just to raise his profile, all 325 million Americans expressed horror Tuesday upon learning Cory Booker was a sitting U.S. senator. “He’s an elected official? In the United States Senate?” said Cleveland resident Sonja Burke, echoing the sentiments of the entire American populace after she was told Booker—who once fabricated a story about meeting a drug dealer named T-Bone—was viewed as a prominent Democrat. “Huh. I’ve been laughing at all the dumb stuff he says, but now that I know he’s been a senator for years, it’s not so funny. And apparently he was mayor of Newark? That’s a pretty good-sized city. Yikes.” At press time, Americans reportedly let out a collective gasp after discovering Kamala Harris, Amy Klobuchar, and Kirsten Gillibrand were also already senators.